Siblings Prithviraj and Indrajith have teamed up in director Lijo Jose Pellissery's Malayalam film City of God. Swetha Menon, Rima Kallingal and Parvathy will have important roles in the film. Babu Janardhanan, who has earlier written Achanurangatha Veedu, Vaasthavam and Thalappavu among others, has scripted the film. 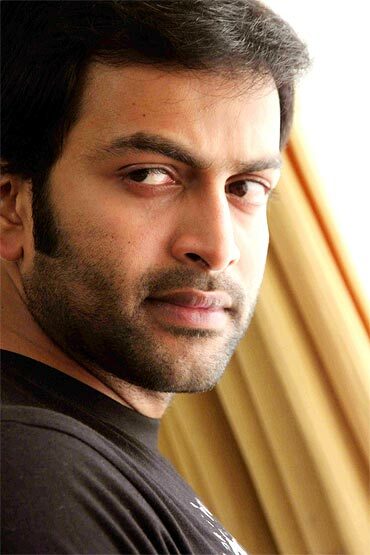 Prithviraj said he had contemplated directing the script at some point of time, as he liked it very much. He plays the character of Jyothilal, who is well educated and suave, but has a criminal mind. He is closely associated with a wily businessman, who exploits the young man. Indrajith plays of Swarnavel, a Tamil labourer. His part of the story is being shown like in a Tamil film, says the actor. As a result, the visuals look very realistic. Director Lijo Jose Pellissery, son of the late comedian Jose Pellissery, had earlier directed Indrajith starrer Nayakan. The film had been critically appreciated but didn't fare well at the box office. The story of City of God also show the struggles of three women. Viji Punnose, played by Swetha Menon, is a wealthy widow. Rima Kallingal plays actress Sooryaprabha, who has to bear the brunt of some past relationships. Parvathy plays Marathakam, a Tamil woman who comes to the city after suffering from the hands of her abusive husband. Yesteryear heroine Rohini, Krishnakumar, Rajeev and Rajesh Hebbar form the rest of the cast. City of God has been produced by Anitha Anil Mathew, under the banner of Mary Matha Creations. Cinematographer has been done by Sujith Vasudev. To give an original feel to the movie, the visuals have been canned using handheld cameras. The music has been composed by Prasanth Pillai.